Any bank which provides the morgage for that deserves to go bankrupt. And the guilty banker should be forced to swim in our sewage system before being eaten alive by rats. I stayed there for a week in 1985 with my grandparents. I wonder what they yield? I'm having my lunch BTW. What's your excuse? Well, 3%, evidently, after you take out council tax. Beach chalets may press all the right nostalgia buttons but would you pay £100,000 for one? That is the dilemma facing Philip Trenchard of Stroud, Gloucestershire, who is considering buying one of the 18 sea shanties for sale at Branscombe in east Devon. But isn’t the price of a starter home in suburbia a bit much to pay for winter storage for the crab lines and cricket bats — particularly as there are also annual management charges of £1,000 and council rates to be paid? East Devon district council sets a rateable value of £900 if the chalets are made available for holiday hire for at least 140 days a year each. If let for a shorter period or not at all, they will have a council tax “A” band of £740.38. “Figures prove rental income on the chalets averages over £8,500 for 28 weeks of lettings,” claims owner Anthony Sellick, who is selling the chalets and retiring. In fact, the price of the shanties is in line with other beach chalets around the British coast. 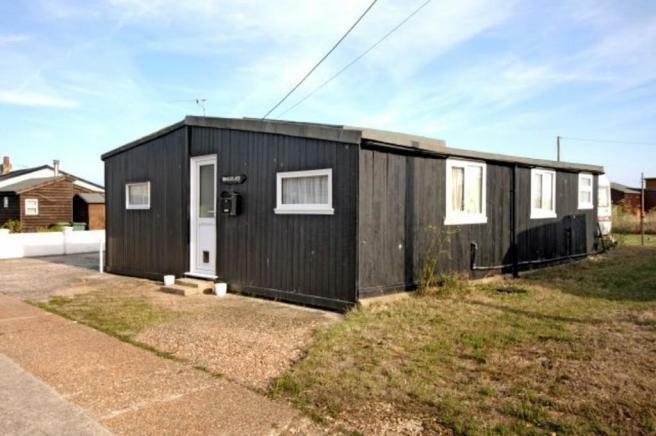 One was sold at West Bexington, near Chesil Beach, Dorset, for £120,000 last November and a hut measuring just 11ft by 12ft, in which overnight stays are prohibited, was sold for £45,000 recently at Southwold, Suffolk. The chalets at Branscombe are in an idyllic location. The village is pure Enid Blyton, with its church, blacksmith, thatched bakery and tearooms. The road struggles down to the pebble beach, where there is a cafe and a path, used by walkers, tapering up to the cliffs. Michael Foot, the former Labour party leader, used to be a frequent visitor. On the toe of the cliffs, there are the chalets. You can drive to some, but those that are inaccessible by car are more highly prized by solitude-seeking chalet regulars. All the chalets have electric lights and heating, immersion heaters for hot water and propane gas for cooking. There is a small kitchen to the left of the side entrance, bathroom to the right, two smallish bedrooms ahead, in the middle a communal space to play board games when it rains, and to the left a verandah. Here you are buying into the stress-free simple life: a back-to-basics nirvana where you won’t get a signal on your mobile phone unless you perch on a distant rock, and where it’s questionable whether you will get reception for a portable television. Since regular lettees were informed that the shanties at Branscombe were to be sold, 420 requests for information have been received. To be fair they're worth whatever someone is willing to pay. It's a unique location so I can understand someone with the cash buying it like they would a painting, vintage wine or car. Except that the ownership of a painting, a car or a bottle of wine doesn't represent a restriction upon others. The reason this shed is £250k is because it presents a unique opportunity to profit from the reduction in liberty of others, that's what drives the boom. Some lunatic will buy it. For reasons I don't understand, a lot of people are in love with the idea of owning a beach hut. Yep, leaving aside the ridiculous price, I would love to live there. Lol, I knew some loon would go for it. Crystal ball Sarah Bell....the Branscombe beach huts have all but been washed into the sea...the council have abandoned any hope of saving them. Today on radio 4 the owners (some of whom are now facing bankruptcy/ nervous breakdowns) were featured on radio 4. About Me:What I find I keep. Crystal ball Sarah Bell....the Branscombe beach huts have been all but been washed into the sea...the council have abandoned any hope of saving them. Today on radio 4 the owners (some of whom are now facing bankruptcy) were featured on radio 4. Many are going through nervous breakdowns. You can't lose with beach huts! Sometimes housepricecrash gets it spectacularly right. Another hut here for sale, bargain at £220k and a lovely view of a nuclear power station. Nice kitchen fashionable in the 60's slums I believe. Crazy isn't it. But no crazier than the sailing world. I've got a boat moored in a Solent marina, many of my neighbours never take their boats out to sea. They come down from London on a Friday night and stay on their boats until lunchtime on Sunday then go back home. I asked one guy why he'd spent several £k on radar and a top of the range chart plotter when he never leaves his marina berth, he replied the boat just wouldn't feel right without them. There's another guy with a boat that must be worth half a mill, he sleeps on it but never actually goes anywhere, he says he doesn't feel confident to get her in and out of her berth, so just potters around the estuary in an inflatable dinghy and outboard. Some of the chalet owners are not wealthy - they have mortgages on their chalets and depend on the income from letting them out in the summer. can you get a mortgage on a 'shack' ? these are second homes and the 'owners' are operating a BTL business if they have not bought them outright. 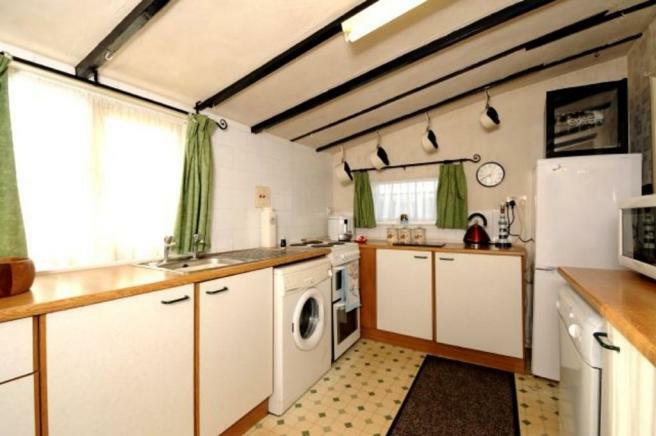 two of these 'shacks' are on rightmove for £250K but look as if the shingle is still in front of them - I am confused. apparently these rent out for £59 per night - so I suppose even with a £1300 pa and risinf maintenance charge it is a better return than a savings account. Eh, I wouldn't buy a beach hut so that it could affect my financial stability if it ever was washed away? When the tide goes out, you know who isn't wearing any swim wear!